The Buena Vista Cafe, located near Fisherman’s Wharf in San Francisco, is a legend; in fact I’ve heard stories about it in Ireland. The story of the Cafe’s fame goes back to 1952, where the owner Jack Koeppler challenged a travel writer by the name of Stanton Delaplane, to help re-create the delicious concoction that was served at the Shannon Airport in Ireland. After many tries, something just still wasn’t right; Jack, now making the challenge personal, flew to Ireland with the determination to perfect the sought-after drink. Once Jack returned, he and Stanton found the perfect balance of coffee, whiskey and served the duo in a heat-treated goblet with a sugar cube. Even the mayor was involved in the process, as he was a dairy owner, and helped to perfect the cream which adorns the top of the Irish delight. The group of heaven-sent men found that by aging the cream for 48 hours and frothing to the right consistency, the cream delicately floated on the now perfected concoction. Now, I’ve had my share of Irish Coffees throughout Ireland, and after finally enjoying one at the infamous Buena Vista Cafe, I can honestly say this tiny historical spot in San Francisco has it locked as the BEST Irish Coffee around. Sitting and watching the bartenders pour rows of coffees at a time, each as perfect as the next, is incredible. My favorite part of the Irish Coffee making was Nicholas’ flick he gave each cup, ensuring each coffee was at an equal level, or as I like to call it “The Nick Flick.” (Can we all get onboard of #TheNickFlick movement?!) While other bartenders didn’t take part in flicking unwanted coffee out of the goblets, it is definitely Nicholas’ signature touch and a reason to enjoy the process that much more. 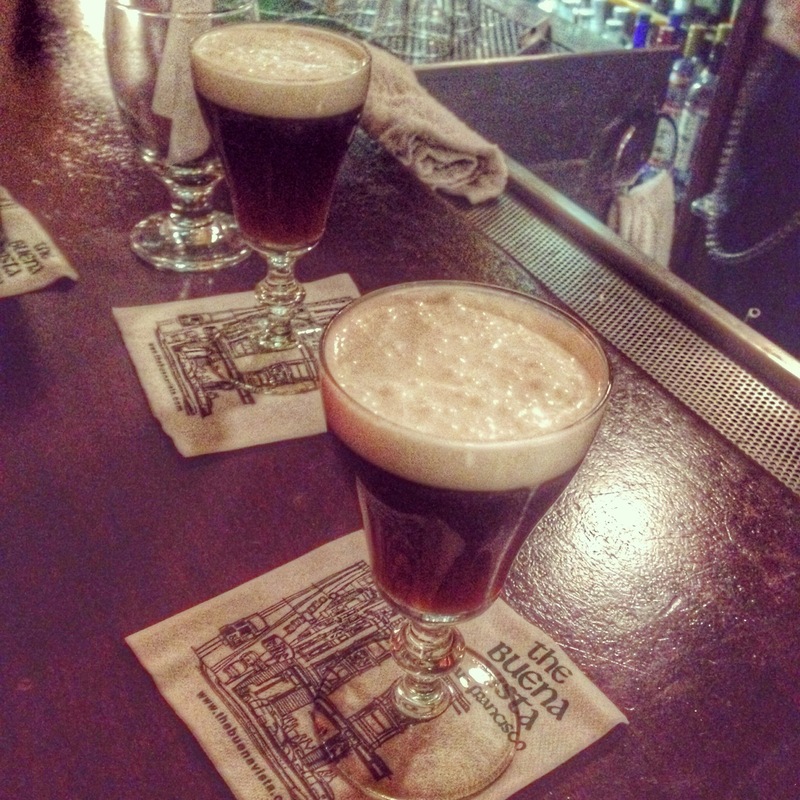 The Nutty Irishman is heaven in a cup, and after the perfect Irish Coffee and a few Guinness, it’s the perfect ending to a perfect Irish night at the place credited for introducing the Irish Coffee to the United States! Why haven’t I been here? And thanks for mentioning the Nutty Irishman; it’s more my style. YES! And I love how each one is perfect!